M.C. Hammer, pioneering West Coast rapper, dancer, producer, actor and entrepreneur was born Stanley Kirk Burrell on March 30, 1962 in Oakland, California. One of eight children, Hammer grew up in poverty. His mother was a secretary while his father, who worked as a warehouse supervisor, struggled with gambling issues that impacted the family financially. An avid baseball fan, Hammer began earning money by dancing and performing before Oakland A’s games in the parking lot of the Oakland Coliseum as an 11 year-old. He caught the attention of the team’s owner, Charlie Finley, who hired young Hammer as a bat-boy. Hammer soon gained his nickname from Oakland A’s players who said he looked like home run king ‘Hammerin’ Hank Aaron. 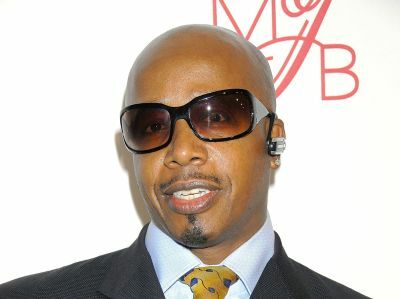 MC Hammer’s debut album, Feel My Power (1987), was released on his own record label, Bust It Productions. Financed by money borrowed from two Oakland A’s players, Hammer was relentless in recording, performing, marketing and promoting himself. As a follow up he released Let’s Get It Started in 1988. Featuring the singles and videos “Pump It Up” and “Turn This Mutha Out,” Let’s Get It Started sold well enough to earn Hammer a deal with Capitol Records. Hammer felt that East Coast hip-hop was not giving due respect to the West Coast, and he was one of the first to begin bi-coastal the sniping which would escalate over time and eventually culminate in the deaths of Tupac Shakur and the Notorious B.I.G. in the mid 1990s. With the elaborate dance routines featured in his videos, Hammer was unlike anything hip-hop had seen to that point which prompted many critics to view him as more dancer than rapper. Please Hammer, Don’t Hurt ‘Em, Hammer’s third album, was released in 1990. It sampled songs by several big name artists, including the Chi-Lites, Prince, and Marvin Gaye. However, the biggest song from this album was “U Can’t Touch This” which sampled the Rick James classic “Super Freak” and powered Please Hammer, Don’t Hurt ‘Em to the top of the Billboard chart for 21 weeks while helping it become the first hip-hop album to go diamond, selling over 10 million copies. Now an international star, Hammer released Too Legit to Quit in 1991. While cracking the top ten and selling multi-millions of copies, the album did not approach the success of Please Hammer, Don’t Hurt ‘Em. However, he was able to leverage his popularity into unprecedented endorsement deals for a hip-hop artist with companies like Pepsi, KFC, and Taco Bell while starring in his own Saturday morning cartoon and selling MC Hammer action figures in toy stores. Although Hammer’s personal worth was estimated at over $30 million in the early 1990s, he famously filed for bankruptcy in 1996. He has continued to perform and release studio albums, and as a Christian includes at least one spiritual track on each. He has a variety business interests and has appeared in numerous television shows, movies and commercials. Hammer has won three Grammy Awards, all in 1991. “U Can’t Touch This” was awarded Grammys for both Best Solo Rap Performance and Best R&B Song. In addition, he won for Best Music Video, Long Form for Please Hammer, Don’t Hurt ‘Em: The Movie. In 1985, MC Hammer married Stephanie Fuller. The couple has five children together, daughters Sarah and A’Keiba, and sons Samuel, Jeremiah and Stanley.